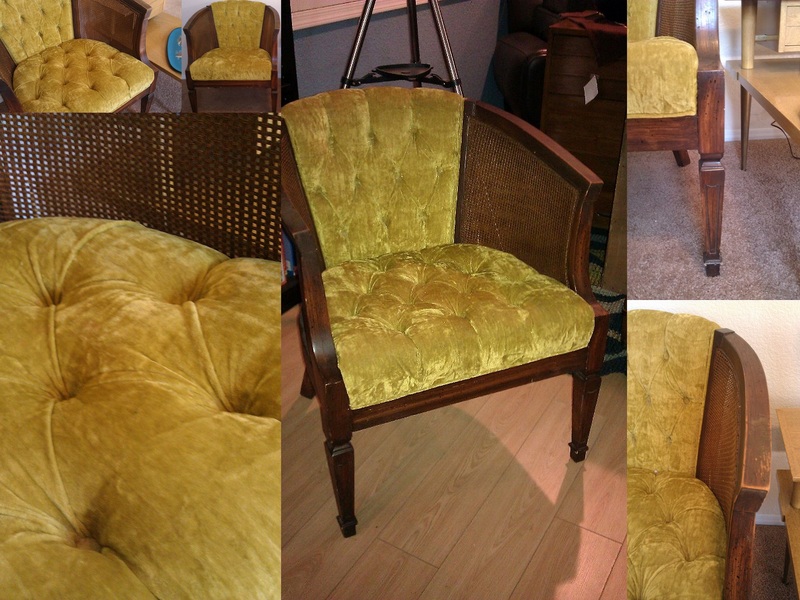 Vintage Mid Century Barrel chair with chartreuse crushed velvet seat. This vintage barrel chair has wicker side panels, pristine fabric and a comfy shape. The fabric looks yellow/gold in the pictures but there is a little green to the color in person. My initial idea was to paint this chair gray to make the fabric pop and give it a more polished look, although the dark wood is still in good condition with some rub marks and scratches on the arms. This chair would be an excellent addition to a vintage themed room. It is very sturdy, heavy piece made out of solid wood, maybe walnut? Dimension: 25″wide, 21″ deep, 21″ seat height. 32″ back height. 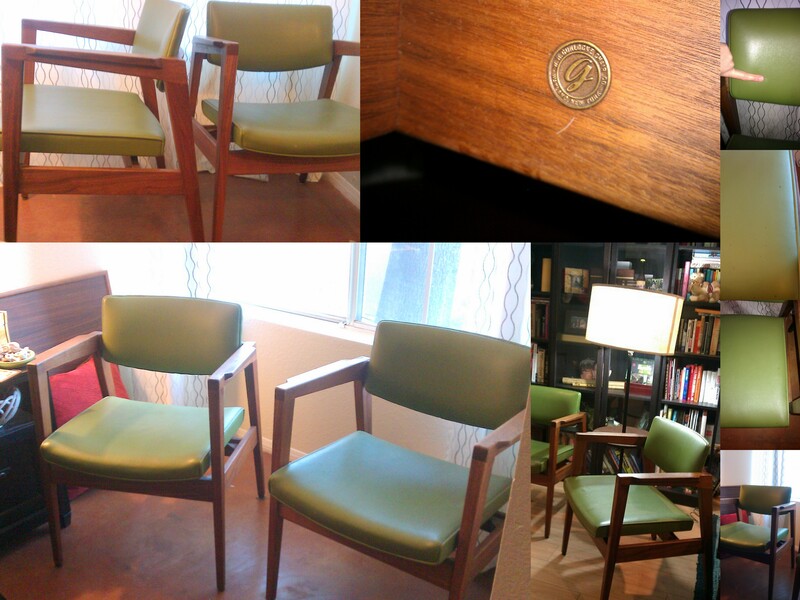 Comments Off on Vintage Mid Century Barrel chair with chartreuse crushed velvet seat.